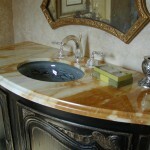 For more information about the marble and onyx countertops above, please click on the “i“ button in the top left hand corner. 5 Stars PLUS + PLUS + PLUS! ADP was very helpful and met all of our expectations, would give more stars if I could! Would recommend in a heartbeat! We worked with Laurie who is a HUGE asset to your company! She was fantastic. Joe was great templator, very thorough and our countertop came out perfect. Would recommend in a heartbeat, you do great work! We will work with ADP on another project in the near future. ADP helped us find the right materials and options for our price range. Our countertop installation crew was excellent, and very efficient. We will work with ADP on another project in the near future! We have worked with ADP before and they are always great each time. Would definitely recommend. ADP was absolutely helpful, and the crew exceeded my expectations. My installers were fantastic. Would recommend! Everyone with whom we dealt with was thoroughly professional and courteous; the final product was perfect! We have recommended to our friends as ADP made us feel very comfortable throughout. Above and Beyond – Very Impressed! I am very happy with the final product. I was surprised how quickly the installation was completed. Would absolutely recommend! ADP will be my only call for my next countertops. The team was wonderful and so friendly and helpful. If a need arises for granite, ADP will be my only call. Everyone was very pleasant to work with. The installation was smooth, and the look was amazing. Thank you for a beautiful job well done! Quality of workmanship is outstanding. We have had nothing but great service and the quality of the work is outstanding. I have recommended ADP to all that need new countertops. Everyone was more than willing to help. We ran into numerous problems (on our end) but everyone at ADP was more than willing to help. We appreciate everyone's efforts. Outstanding job – Looks gorgeous! The sales staff was always available to discuss anything with us. Our countertop come out above our expectations. We would recommend company anythime. Great to work with and always willing to make adjustments. Professional installation and everything was clean. After my new countertop was installed, the crew did an excellent job to clean up everything afterwards. It was above my expectations. Your employees were very helpful. We love our new granite countertop! ADP helped me find exactly what I wanted. The templator was excellent, he took his time to make sure everything fit right. The crew did a great job and everything was clean after the job was over. We had some challenges that were not ADP's fault however they did everything possible to make it happen. Their quality in whole is first rate. You can tell that everyone there takes pride in their work! Have already begun to tell my friends! ADP are master craftsman and your home will be so beautiful with minimal headaches! ADP is fantastic!! This is our third home using ADP!! Most recently, I worked mainly with Kevin Fulp and he was so pleasant, accommodating and helpful. ADP is a huge warehouse just off of east colonial - close to downtown where our house is. They have many remnants and slabs in house that you can choose from and also offer quartz/caesarstone or they have a couple different suppliers close by that have hundreds of different types of stone that you can choose from. All of their employees were helpful during the entire process from being introduced to Kevin right up until Marcelo installed the final product. ADP fabricated and installed granite, marble, onyz, and quartz in my kitchen, kids bathrooms, cabana bathroom, morning kitchen and outdoor kitchen. The turnaround time was actually sooner than they said it would be so we had our countertops sooner which helped our family so much! Our house looks so amazing!! we could not be happier!!! I know there are other granite companies out there, but don't waste your time with them - ADP are master craftsman and your home will be so beautiful with minimal headaches!" ADP is fantastic!! This is our third home using ADP!! Most recently, I worked mainly with Kevin Fulp and he was so pleasant, accommodating and helpful. ADP is a huge warehouse just off of east colonial - close to downtown where our house is. They have many remnants and slabs in house that you can choose from and also offer quartz/caesarstone or they have a couple different suppliers close by that have hundreds of different types of stone that you can choose from. All of their employees were helpful during the entire process from being introduced to Kevin right up until Marcelo installed the final product. ADP fabricated and installed granite, marble, onyz, and quartz in my kitchen, kids bathrooms, cabana bathroom, morning kitchen and outdoor kitchen. The turnaround time was actually sooner than they said it would be so we had our countertops sooner which helped our family so much! Our house looks so amazing!! we could not be happier!!! I know there are other granite companies out there, but don't waste your time with them - ADP are master craftsman and your home will be so beautiful with minimal headaches!" 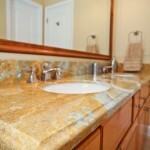 They were very professional, informative and worked around our schedule to install our quartz countertops. Picked out an ADP manufactured quartz countertop for master bathroom. The president, Kevin Fulp, provided us with a few samples to take home. After settling on an color Kevin emailed a quote. ADP came out and made a template of the counter top which was two different levels with several pieces. The project manager, Bobby Pino, was very nice to work with and answered all my questions. We were having some landscaping done and the scheduling person, Jill, worked with us to schedule the install so that it was convenient for us. The installer, Steven, was very professional and worked with us with installing the faucets just before securing the counter. We wanted to secure the faucets before they installed the drop in sinks so that it would be easier to hook up the plumbing, etc. Everyone was very cooperative. Picked out an ADP manufactured quartz countertop for master bathroom. The president, Kevin Fulp, provided us with a few samples to take home. After settling on an color Kevin emailed a quote. 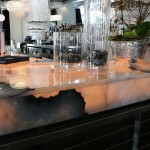 ADP came out and made a template of the counter top which was two different levels with several pieces. The project manager, Bobby Pino, was very nice to work with and answered all my questions. We were having some landscaping done and the scheduling person, Jill, worked with us to schedule the install so that it was convenient for us. The installer, Steven, was very professional and worked with us with installing the faucets just before securing the counter. We wanted to secure the faucets before they installed the drop in sinks so that it would be easier to hook up the plumbing, etc. Everyone was very cooperative. Our new kitchen countertops made our kitchen look like a work of art! We love our new Quartz Counter tops and would absolutely recommend them to Everyone! Working with ADP Surfaces was the best decision we made when it came to our Kitchen Remodel. Everyone was very professional and made the experience very easy and enjoyable. We personally worked with Nancy and she was so helpful and Knowledgeable. We love our new Quartz Counter tops and would absolutely recommend them to Everyone. To top it off…the granite looks AWESOME! Professional, Polite, and Punctual are three words that accurately describe ADP Surfaces along with quality workmanship and great communication with a customer. Everyone I dealt with at ADP was friendly, upbeat and efficient. They called me when they were leaving their shop on the day of the install and arrived exactly at the time we scheduled. And to top it off...the granite looks AWESOME! 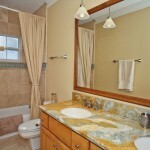 It definitely adds a "touch of class" to our kitchen and bathrooms. I was impressed with the follow-up call after the installation. Great customer service. Professional, Polite, and Punctual are three words that accurately describe ADP Surfaces along with quality workmanship and great communication with a customer. Everyone I dealt with at ADP was friendly, upbeat and efficient. They called me when they were leaving their shop on the day of the install and arrived exactly at the time we scheduled. And to top it off...the granite looks AWESOME! 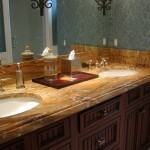 It definitely adds a "touch of class" to our kitchen and bathrooms. I was impressed with the follow-up call after the installation. Great customer service. Thanks ADP! 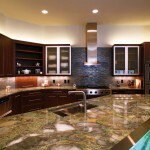 ADP installed our custom kitchen countertops, they were reasonably priced, professional, courteous, and on time. 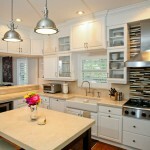 We chose ADP Surfaces to assist with countertops for our kitchen remodel. They were reasonably priced, professional, courteous, and on time. However, what was most impressive was the quality of their work and the experienced members of their team. We later learned they have been in business close to 25 years and that just about says it all. I would recommend ADP to anyone looking for a quality job with a company that will be there for years to come. We worked with Kevin the President but from the templator through to the installation everyone was truly wonderful to work with. A highly recommended locally owned and operated business. Excellent management, knowledgeable techs, competitive pricing and always aiming to achieve 100% customer satisfaction. A highly recommended locally owned and operated business. I highly recommend this company. ADP Surfaces was far more professional than any of the other companies I contacted. Everyone I dealt with was a pleasure to work with--sales, the template guy, and especially the install crew. We are so happy with our countertops and are constantly asked by friends where we got the work done. We are so happy to share our fantastic experience we had with ADP Surfaces regarding our new kitchen. We worked with Sandy and, from the moment we met, she made us feel very comfortable and immediately made this a great experience for us. Sandy’s insight and experience helped us make some difficult decisions concerning our selections and her team went out of their way to make sure we had as many choices as possible to choose from. As the process continued, Sandy and her team continued to treat us as VIP’s and never hesitated to answer any questions or concerns we had. From the templator to the installers, everyone was very friendly and professional and the workmanship was superb. We are so happy with our countertops and are constantly asked by friends where we got the work done. Thank you again to ADP and especially to Sandy and her entire team for making this such a great experience and giving us the kitchen of our dreams. 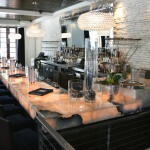 Gorgeous kitchen and excellent service! Thanks ADP! Thanks, ADP, for exceeding our expectations. 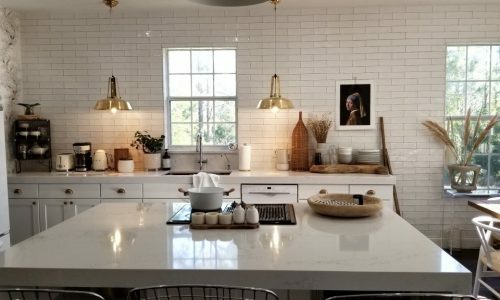 We were renovating our master bathroom and had been looking for quartz countertops at the big box stores and had also requested prices from four local companies. Unfortunately, we were either met with high prices or a total lack of response. Not one company seemed to be interested in our business. It was near the end of the day when we found an ADP Surfaces brochure a cabinetmaker had given us and decided to give them a try. Their location was a bit hard to find. It is through a gate at the end of the road beside Orange Buick on West Colonial. When we got there, it was almost closing time and we ran into their computer guy who probably was getting ready to go home. To our delight, he spent almost an hour with us, showing us their extensive shop facilities, and going through samples. He then gave us the business card of Nancy Klein, and asked us to follow up with her as our salesperson. The next day we called Nancy and were happy to find that the exact quartz we wanted was available as a remnant. She was able to offer us a very good price, then prepared our contact and took the deposit. Nancy was very helpful and easy to work with. When our new vanities were installed by our cabinetmaker, we called back and ADP sent out a templating contractor that showed up on time and did a very professional job of documenting all the measurements. When the quartz countertops were ready, Nancy arranged for the installation and the installers arrived on time, did a very professional job and cleaned everything up when they were done. Thanks to the outstanding service and reasonable prices we received on our first purchase from ADP Surfaces, we have just placed a deposit on a second countertop purchase and expect to go back later this year for an even larger purchase when we upgrade our kitchen. Thanks, ADP, for exceeding our expectations. I am more than impressed with how my countertop turned out and COMPLETELY IMPRESSED with the level of professionalism and friendliness of all the staff at ADP. Kevin was extremely patient with me over the four months it took me to install my kitchen cabinets and reinforce the cabinetry where needed. He worked with me to find the best countertop option for my new kitchen and provided plenty of guidance and advice during the process. The guys that came to install the countertop were also really friendly and took the time to explain to me what they needed to do and how long it would take. They were very respectful of my home and my time. It was truly a pleasant experience from start to finish! I highly recommend Kevin and his team! I am more than impressed with how my countertop turned out and COMPLETELY IMPRESSED with the level of professionalism and friendliness of all the staff at ADP. Kevin was extremely patient with me over the four months it took me to install my kitchen cabinets and reinforce the cabinetry where needed. He worked with me to find the best countertop option for my new kitchen and provided plenty of guidance and advice during the process. The guys that came to install the countertop were also really friendly and took the time to explain to me what they needed to do and how long it would take. They were very respectful of my home and my time. It was truly a pleasant experience from start to finish! I highly recommend Kevin and his team! The countertop pieces were beyond our expectations, finished with remarkable detail and looked better than we could’ve ever hoped for. We had the pleasure of working with Amy from ADP on a new granite countertop. Not only were we impressed by her level of professionalism and knowledge, she offered several suggestions and ideas which we never would have thought of. From templating to install, the process was quick and stress-free. Amy was extremely responsive in a timely manner to all of our questions. The install team showed up on time and started immediately. The countertop pieces were beyond our expectations, finished with remarkable detail and looked better than we could’ve ever hoped for. The installers were completely professional, thorough and detail oriented. 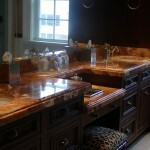 We couldn’t be happy with Amy and ADP and would highly recommend them for any and all countertop needs. We would absolutely use them again in the future. I would highly recommend ADP for any of your granite needs. Everything from ADP looks terrific! Just a note to thank you for having Jose come out today to fix the countertop in the bar, and to install the countertop in the office. Thanks for everything in getting us set up. Just a note to thank you for having Jose come out today to fix the countertop in the bar, and to install the countertop in the office. Everything from ADP looks terrific! Thanks for everything in getting us set up. I would highly recommend their services! Excellent customer service! ADP Surfaces is professional and precise in their craft. We were very pleased with our experience leading up to installation, installation itself, and, of course, the finished granite countertop product! Turnaround time was quick, installation was seamless. I would highly recommend their services! Your staff were so great! They were nice, accommodating and did a great job! The countertop is looking great; thanks for sending out your crew! First let me say thank you guys for all you have done for us. The house is coming out awesome and the selections you helped with look great. I also appreciate you sending the crew on Saturday to keep our schedule. You guys rock! Just wanted to take a quick minute to acknowledge Edwin, this guy has been nothing short of spectacular out here since we started working together. He always helps me out and always seems to have a smile on his face. Hard to come by in this business. Just thought you should know that I appreciate all that he does for D R Horton and River Oaks! The father and son team were amazing!! Very professional and courteous. They represented you very well! Love our ADP countertops at our new beach condo! We thank everyone! 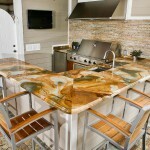 Love our ADP countertops throughout the house and now beach condo! Edwin and Jon just left and I want to share with you what a great job they did. They were cooperative, helped troubleshoot, and cleaned up behind themselves. Great to work with! Honest and great work ethic. Edwin was great and I appreciate his honesty and work ethic. If we do any other work with your company I will request him to do our work. Thank you for all of your hard work! I just wanted to take a moment to tell you how much we appreciate Nancy at ADP for all you do for us here at Northern Star Millwork. Your ability to problem solve and always get the project done on time and on budget is why we continue to do business with ADP.